I have really enjoyed reading ALL of the books in the Pushing the Limit’s series, but I have to say, Crash Into You is my most favorite of the three books! I seriously could not wait to get my hands on this book so I could dive into Isaiah’s story. The book definitely does not disappoint! I have been intrigued by Isaiah since we first met him in Pushing the Limits. I wanted to know more of him, and my wish was granted when reading Crash Into You. He is such an awesome bad boy, but underneath the attitude, tattoos and all around bad boy exterior, he’s a really sweet, caring guy. He is the absolutely perfect for Rachel. I love that instead of being frustrated with her and her issues, he helps her in any way that he can. I love that he calls her Angel. While they had a few issues in the book, they pretty much had a really swoon-worthy relationship, and I really enjoyed reading their story. Isaiah has definitely earned a spot as one of my most favorite male characters! There are so many secondary characters in this book, I wouldn’t even know where to begin with them. I love that we get to see a lot of our favorite characters from the two previous books; I honestly didn’t expect to see as much of them as we did. I really, really enjoyed them being a part of this story. Then there are the new characters that we meet in this book. Rachel had a very interesting family, especially with having four brothers. I can’t say that I cared for her dad very much. The storyline for the book was really intriguing and definitely kept me hooked while I was reading. I really enjoyed the car talk! There are lots of sweet and steamy moments throughout the novel, and there is a pretty shocking scene towards the end of the book, but I love that it was included. It just made me love Rachel and Isaiah even more. Such a great story! Overall; if you are a fan of young adult contemporary books with tattooed bad boys as the main character, you’re definitely going to love this book! The whole series is amazing, and I definitely recommend you starting it, if you haven’t already. I really liked the character of Isaiah and I enjoyed the book but it didn't live up to Dare You To which is my favorite in the series. I do like how the author has a way of making you see the characters in a new light. With Beth I couldn't stand her in Pushing the Limits but changed my mind in Dare You To and while I liked Isaiah in the earlier books I really felt more respect for his character here. I wish that the next book was going to be about Abby instead of West. She was one of my favorite characters in the book and I'm not a fan at all of Rachel's brothers. I felt frustrated with their behavior. Still I have a feeling I will like the book when I read it the way I've liked the other books in the series. I'm reading this in a few days for the tour and I can't wait, especially since you said this is your favorite so far. I love Isaiah and I am so excited to read his story. Great review! Ohhhh, I LOVED the first two books! Especially because McGarry just makes every.single. character work!!!! 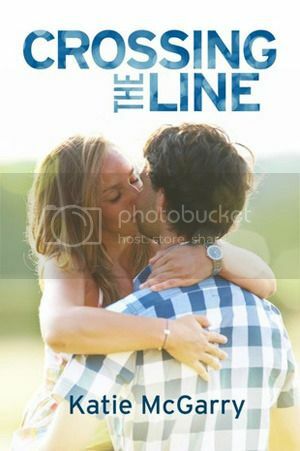 I used to hate Beth until I got to know her better in the second book and then I almost wanted to cry when I heard this one was about Isaiah, but I'm sure at the end, I will love him just as much as the other characters!!! 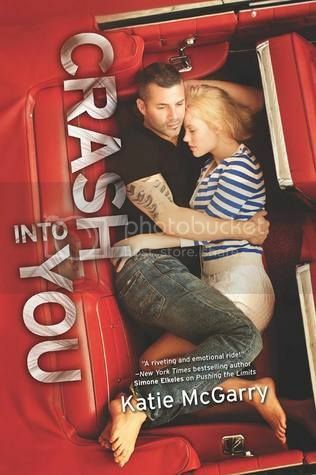 I loved bad boy Isaiah and can't wait for McGarry's next book in the spring!!!! I love how she writes and her stories keep you reading late into the night!